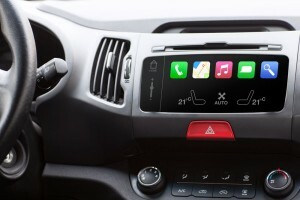 Will “Smart” Car Dashboards Lead to More Distracted Driving? Distracted driving is a safety issue typically associated with performing other tasks while driving. Any non-driving activity you are engaged in while operating a motor vehicle significantly raises a risk of crashing and fatalities. Distraction transpires at any time you take your eyes off the road and do not concentrate on the primary task of driving. Even with the alarming statistics, the car companies continue to furnish their vehicles with elaborate dashboards and enticing displays of information. Originally, the idea was created to aid the drivers with their transportation needs by providing Global Positioning System (GPS) allowing them to easily find their destination. The technology has since advanced into other methods of navigation that may lead to interference with safe driving causing an increased number of accidents worldwide. The youngest drivers are at most risk as in addition to being distracted by the displays on the dashboard, they also engage in texting and talking on the cell phone simultaneously. On average, 660,000 cars are being operated by someone who is using their Smartphone accounting for 16 percent of distracted driving crashes involving people less than 20 years of age. A recent study conducted by J.D Power revealed that there is an increased interest in purchasing the cars with the latest technology including dashboard screens equipped with voice control and options to sync the cell phones with the dashboard. The makers of Audi allow the car operators to streamline their Twitter accounts with the dashboard, upload pictures taken with the smart phone and display the text messages including the location where the pictures were taken. Auto manufacturers of Hyundai integrate the dashboard software with the iOS and Android. Tesla has created a system that substitutes the Smartphone functions and allows the driver to view the information displayed on the screen in the car. The National Highway Safety Administration has issued new guidelines advising against obstructive diversions such as moving images, but as of present, no official regulations have been imposed in regards to distracted driving. The statistics are staggering and only by educating the public about the possible dangers these numbers may be reduced. • 3,154 people were killed in 2013 and 420,000 were injured in accidents involving distracted driving. • 153. 3 billion texts were exchanged monthly in the USA. • Drivers under the age of 20 accounted for 10 percent of crashes involving distracted driving. • Fatalities involving people in their 20s accounted for 27 percent of all reported incidents related to distracted driving. • Performing visually and manually engaging tasks triples the risk of a car crash. • Both teens and parents admit they hold extended conversations via texting or talking using the dashboard options while driving. It is a well known fact that a driver cannot safely operate the car and watch the screen concurrently. Car companies increase their profits by providing the latest technology and uphold their conviction that dashboard displays provide roadside assistance and fulfill the public demand. However, the law makers debate on how much technology is suitable and appropriate before it becomes a diversion and possible danger to road safety. As the number of car crashes involving young generation is rising nationwide, many states have implemented Graduated Driving Licensing (GDL) laws which ban the use of certain devices while operating a vehicle. Violating these laws may lead to license suspension, fees or delayed approval to obtain a license. In efforts to curb the use of excessive technology, the legislators are actively working on implementation of stricter laws and regulations aimed at distraction-free driving. The public is also urged to promote safe driving within their communities by social networking and advertising the message of road safety.